Here is just a small sample of the vast array of recipes and exercises you can enjoy when you become a member of the Rosemary Online Weight-Loss Club. With over 2700 recipes, more than 700 how-to-cook videos, hundreds of exercises and Rosemary's Motivational Minutes, plus hundreds of articles and videos featuring medical and psychological experts such as Dr Hilary Jones and Professor Raj Persaud, you will have everything you need to keep yourself motivated and increase your chances of dieting success. A perfect meat-free curry for one, ideal after along day to send your taste buds into overdrive! This simple recipe is packed full of flavour and only takes 30 minutes to cook! 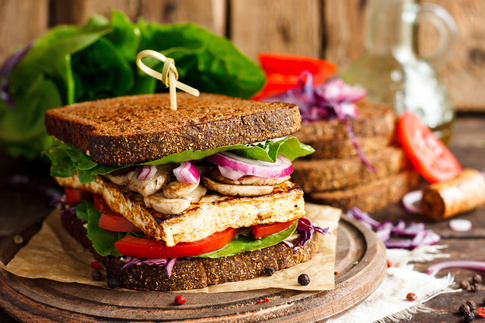 This tasty plant-based sandwich will leave you feeling full, satisfied and with a smile on your face! 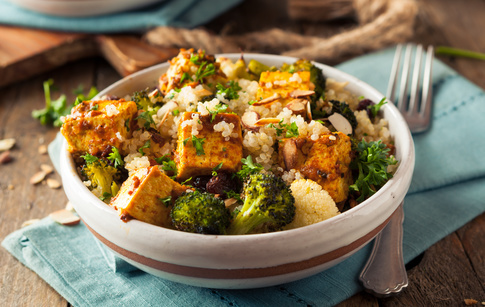 Eat healthy for less with this amazing recipe that costs just 46p per serving! Make this stunning lemon mousse in super quick time! It's just 165 calories and ready to eat in less than 10 minutes! Stretch and strengthen without leaving your desk! Use that dream dress as your goal and visualise yourself looking fabulous in time for the festivities. Eat healthy for less at just £1.89 per serving! This super quick meal, is packed full of amazing flavours and goodness. It's a great way to use up leftover potatoes. Ready in just 10 minutes - what's not to love!